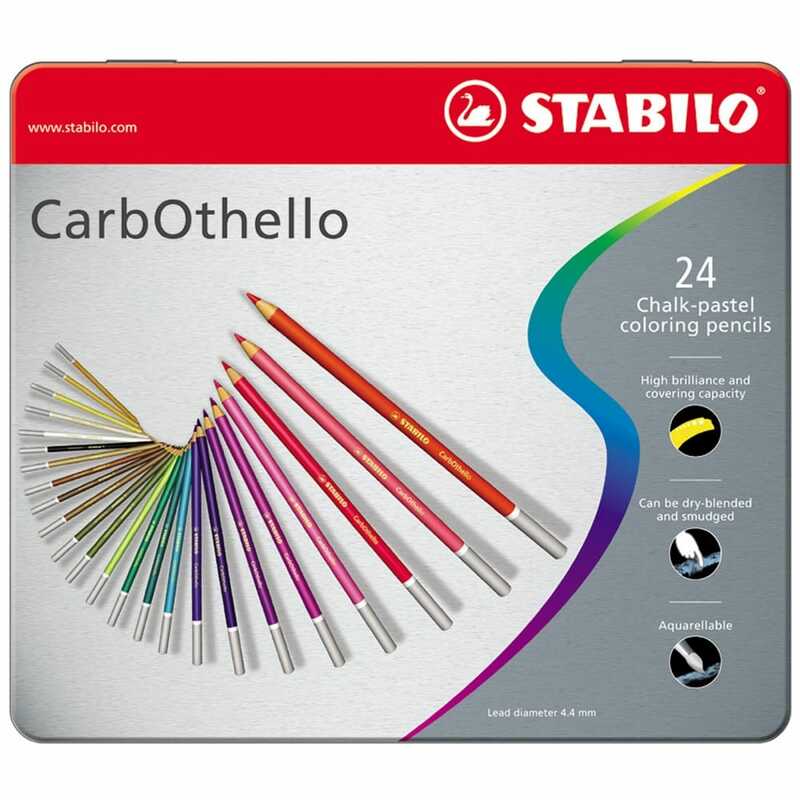 The tin of 24 assorted coloured CarbOthello is a high pigmented artist's quality chalk pastel pencil. It can be blended dry or with water (when using water the contour lines will remain visible), the chalk pastel pencils create a wonderful dry and dusty stroke just like charcoal. Each pencil has an asterisks mark to denote the pencil's light fastness (five asterisks symbolises the highest light-fastness and one asterisks symbolises sufficient light-fastness). Ideal for a range of art projects from the landscape drawing to relaxing with an art therapy book. *Colours: Areas of solid colour can be obtained by rubbing pigment evenly with fingers or blending stumps on high quality paper. *Effects: A sharpened white pencil can be used to lighten all colours or add highlights. *Painting: Pigments can be painted with water and a brush and drawing on the wet area can also produce interesting effects.